Soldiers. They've sworn their lives to uphold the honor, integrity, and borders of their nation. It's not a role one takes on easily. That holds true in the world of Ponyfinder, too. 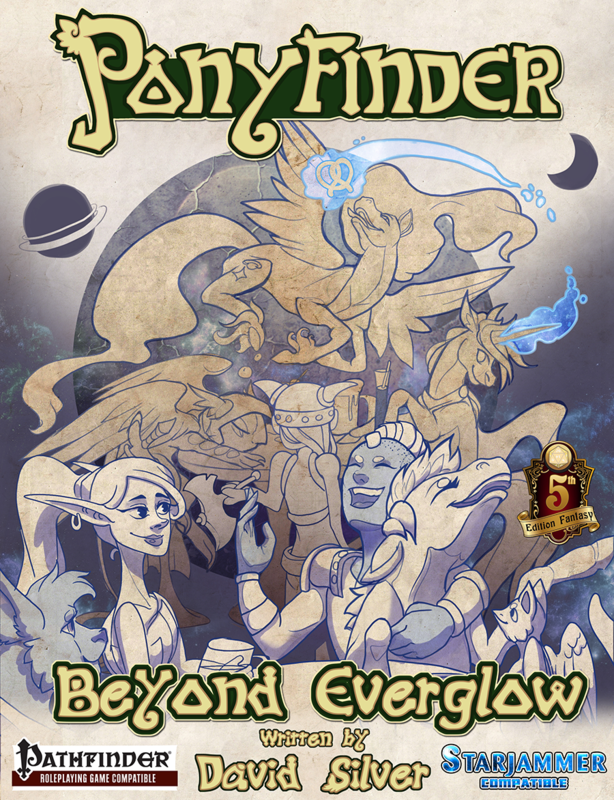 This new book from Silver Games contains a new class, the Soldier, written to be compatible with both Pathfinder and 5th Edition. It also takes a look at running a game from a soldier's point of view, that is someone with ties to a specific country, rather than just "murder hobos." 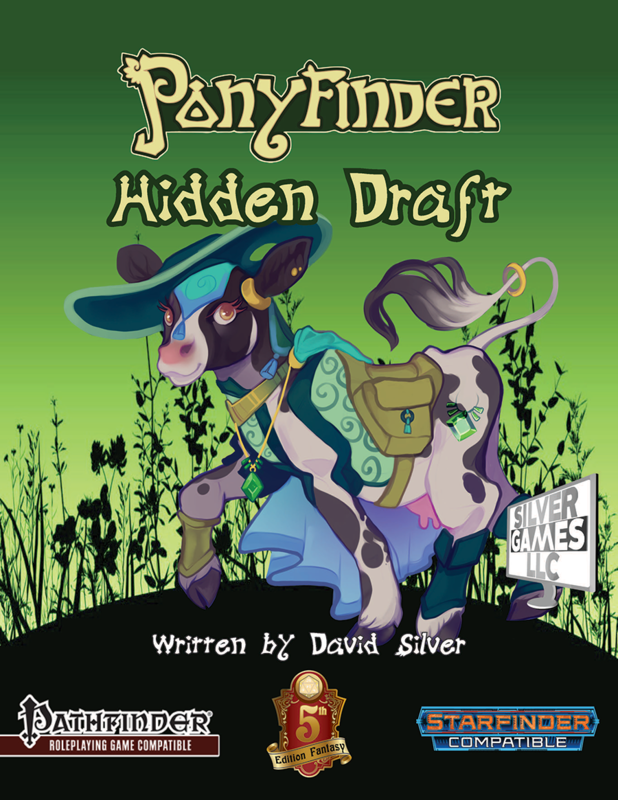 Silver Games has released a new supplement for their Ponyfinder RPG. In this instance, it's all about going from plane to plane with The Care and Handling of Rifts. The various elemental planes aren't getting along, and it's up to you to sort the issues out before the very elements revolt. In Ponyfinder, you can be a pony of various types (as one would expect). You can be a full flesh-and-blood pony. Or, you can be a mechanical one. However, with Bit N Bolt, you can now be the bionic pony that you've always wanted. Wizards, potions, alien experiments... randy bards... There's a lot of ways that two different races in a fantasy or sci-fi game to interbreed and end up with mixed kids. Silver Games has released a new sourcebook that shows off a bunch of these new creatures in Hybrid Blood. You can pick up your copy now. The sea is a magical place filled with all manner of creatures... creatures that are ready to crawl up out of the depths at any time and attack the unwary! Who will be willing to take on these terrors of the deep and return peace and sanity to the shores? 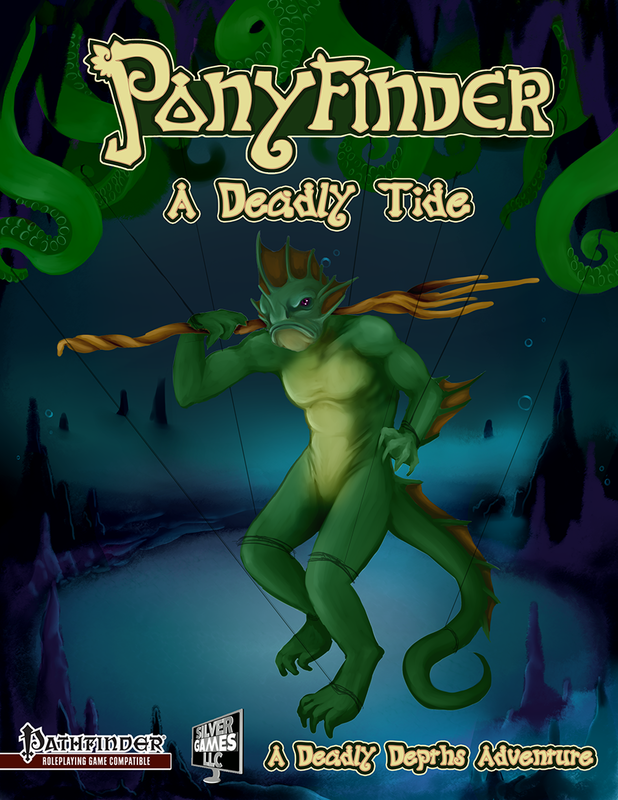 That's for you to find out in A Deadly Tide, a new adventure that's available for Ponyfinder. Blevik is a city dominated by doppelgangers. So, while it can be a nice place to visit, you're never 100% sure who you might be interacting with. 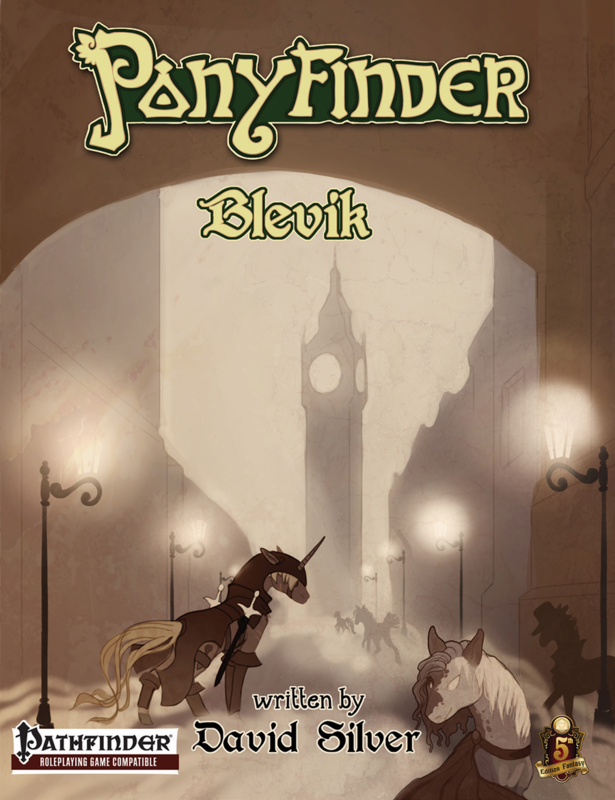 This new book for Ponyfinder (also Pathfinder and 5th Edition) gives you details of this strange city, along with new spells, traits, and other class options. You can pick up your copy now. 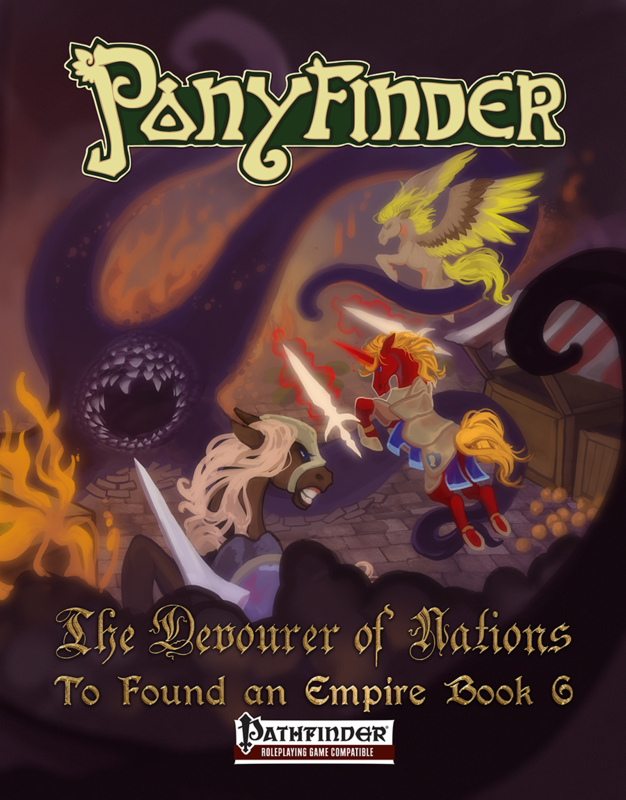 The To Found an Empire series for Ponyfinder continues along. Your players have survived the events of The Fragile Threads, and things seemed peaceful for the past seven years. However, all is not well. While things seem fine, the looming threat of The Devourer of Nations hangs in the air. How will the character manage this new threat? Every country is going to have its grandest city. This bustling metropolis breeds a different type of inhabitant. They have different skills based on their living situation, and different needs. They really are a thing apart from the country folk. 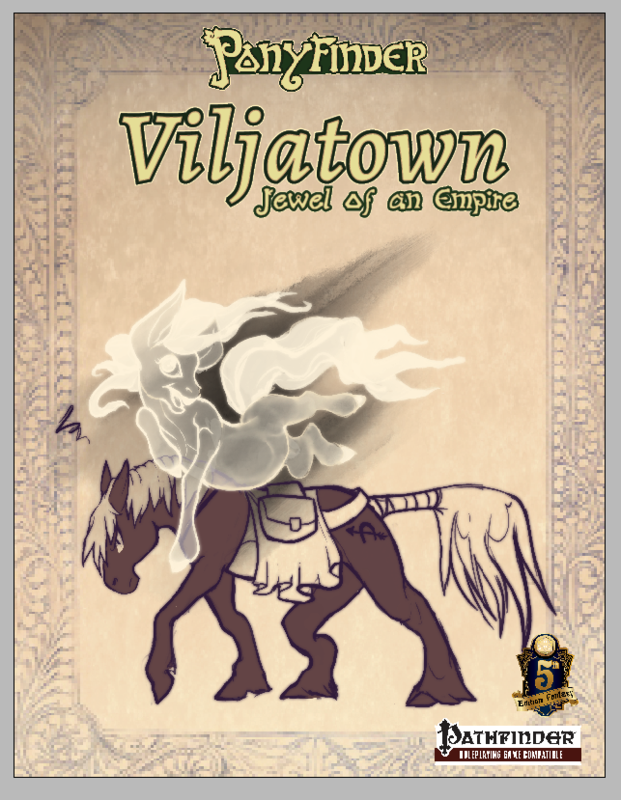 The Viljatown sourcebook for Ponyfinder will show you how these city dwellers are different, giving you information about their lives, as well as rules for new feats, spells, and abilities. It's available now. Many of us know about the three main types of ponies: pegasi, unicorns, and earth ponies. Some of you might also know about gem ponies and a couple other types. Well, the Hidden Draft book for Ponyfinder gives us another type: The Krava. They're ponies... or maybe not... Either way, there's plenty of new options for players and GMs to make new and unique characters to encounter during your travels. The book is available now. 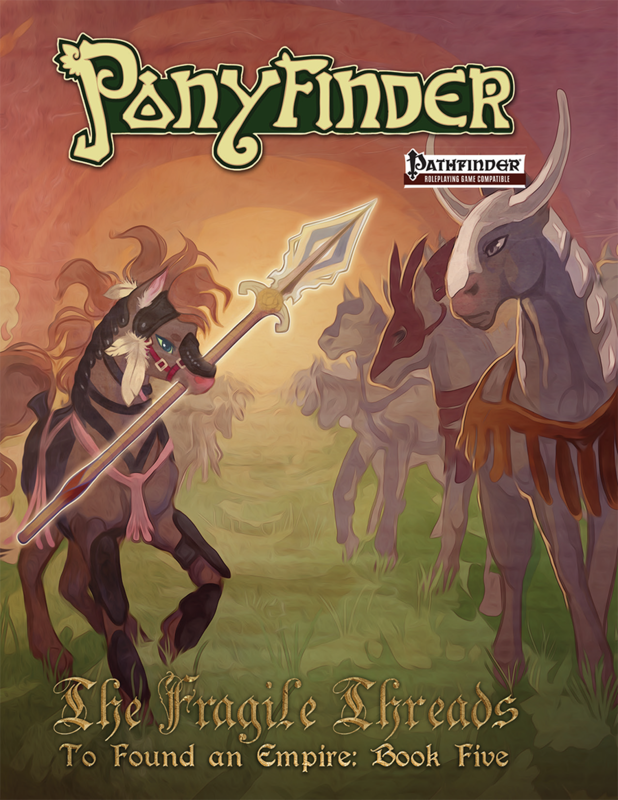 Silver Games is further expanding their Ponyfinder product line with Ponyfinder: Tactics. 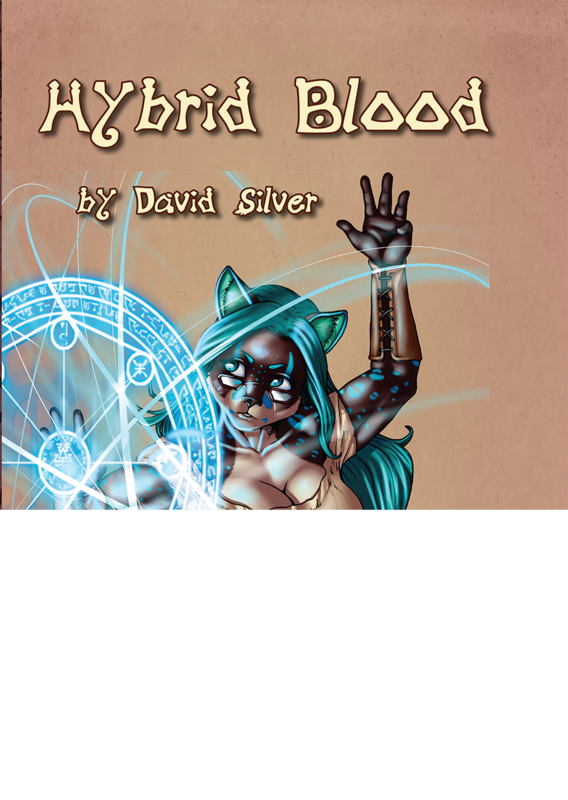 This book looks to give players a whole bunch of new options for their characters. New feats, new base class (the Elementalist), new races and subraces, new spells. And for the GM, new monsters. It's got a bit of everything for everyone. You can pick up your copy now. 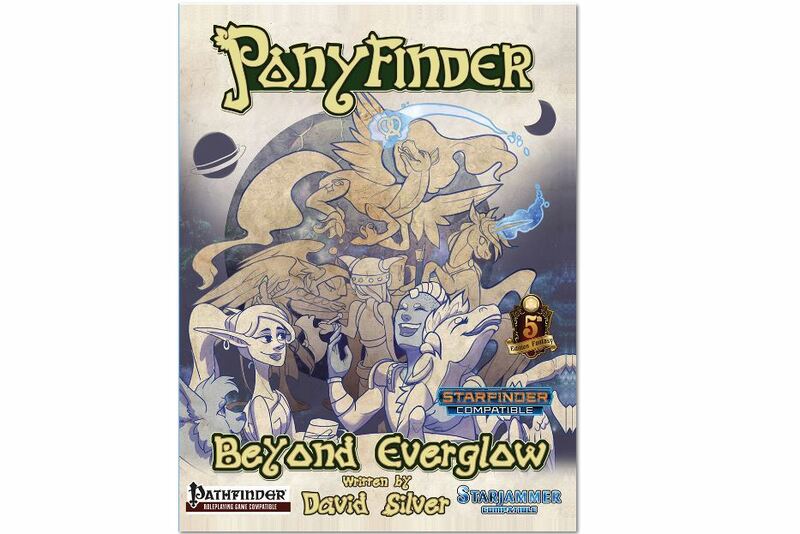 With the release of Starfinder, Silver Games has gone and updated their Ponyfinder: Beyond Everglow book to make it compatible with that system. Want to take your pony characters out into the stars? Want to give them cybernetic enhancements? Want to face off against new threats on distant planets? Now you can. You'd think that after a major evil was defeated that things would be great for everyone afterward. But that's not always the case. So, sure, Teralos has had about a decade of peace, but things are getting troubling again. Will the heroes be able to keep the peace, or will everything they've worked for fall apart? That's what's happening in The Fragile Threads, the 5th book in the To Found an Empire series for Ponyfinder. You can pick up your copy now. Ok, maybe not quite the same ring as Pigs in Space. But still. 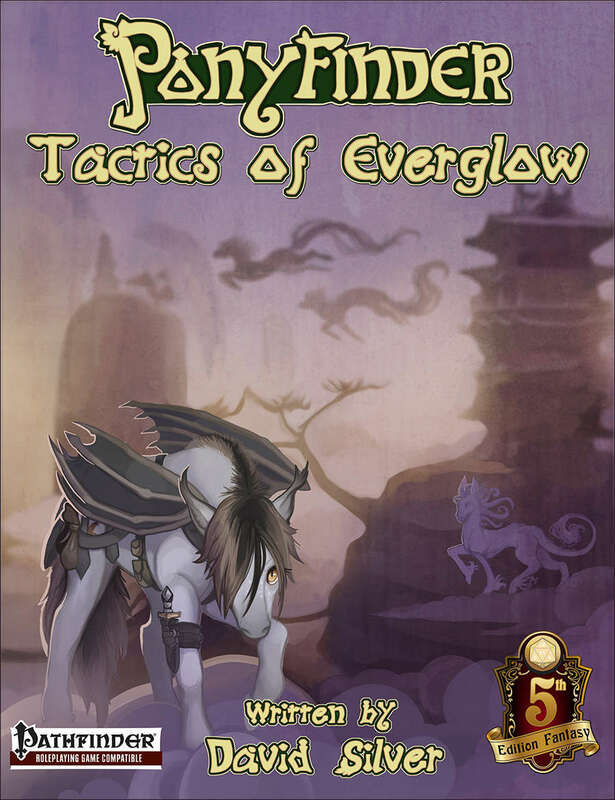 Beyond Everglow is a new supplement for Ponyfinder that is also compatible with Starjammer as well as 5th Edition. It adds in new races, new traps, new monsters, new feats, and plenty of other things to take your ponies out into the great beyond. 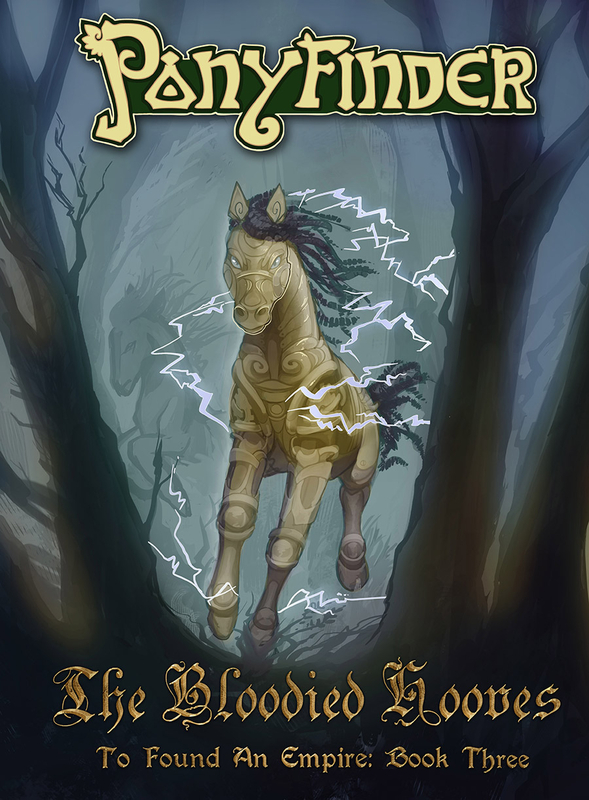 The Bloodied Hooves is the 3rd part in the To Found an Empire adventure series. It picks up right from where the previous adventure, The Gem Gnoll War, though you don't have to have played that in order to make use of the book. It's designed for 3-7 characters of around 5th level. You can pick up your copy now. I have a young niece. As such, when I visited my parent's place a couple weeks ago, and my sister brought her kids over (I also have a young nephew), I was exposed to various children's television shows I might not have otherwise been inclined to see. One was something about friends being magical, or somesuch. I didn't catch the full title. Anyway, while I'm not getting the series on DVD anytime soon, I did see where the appeal could come from, and where horses of all types are making their way back into the forefront of popular culture. 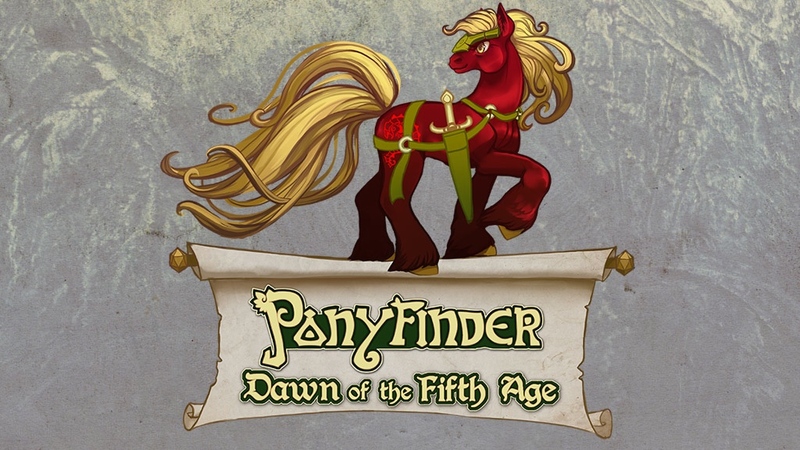 As such, Ponyfinder, the RPG, is looking to expand to the most popular RPG system, with their Ponyfinder - Dawn of the Fifth Age Kickstarter campaign.